Voodoo Tactical Military Glass | BUDK.com - Knives & Swords At The Lowest Prices! Built tough with high-impact resistance and appeal. The new tactical military style frame houses G-15 shatterproof polycarbonate lenses with UV400 filter for maximum UV protection with scratch resistant coating added to each lens. 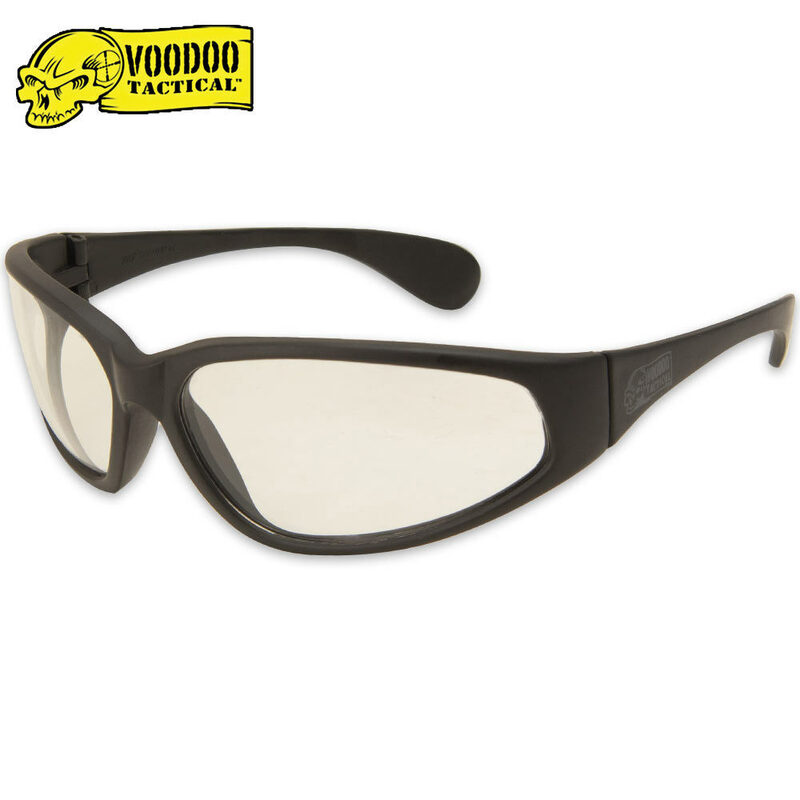 This eyewear meets both ANSI Z87I.1 and OSHA standards for use in industrial applications and offer perfect eye protection for shooters, hunters, outdoor enthusiasts or as everyday stylish protective eyewear.